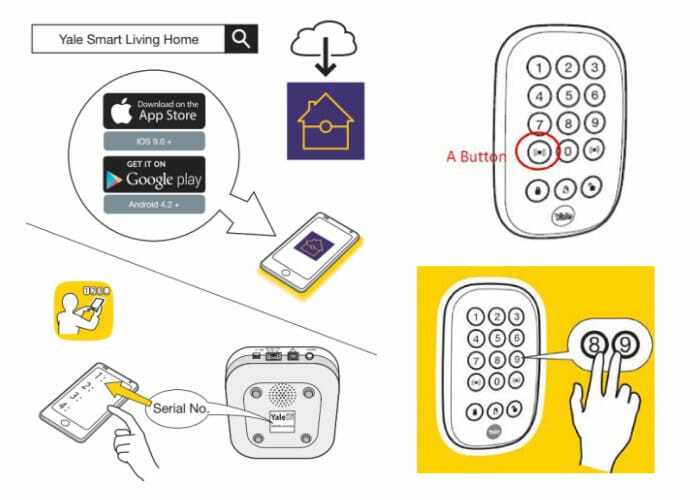 Once you have your Yale Sync Smart Alarm system set up correctly, as demonstrated below and as discussed in our previous article located here, you can begin learning about all the extended features included in the system. During the installation process, you will have already downloaded the Yale Home App to your smartphone and registered your new Yale Sync Smart Home Alarm system. 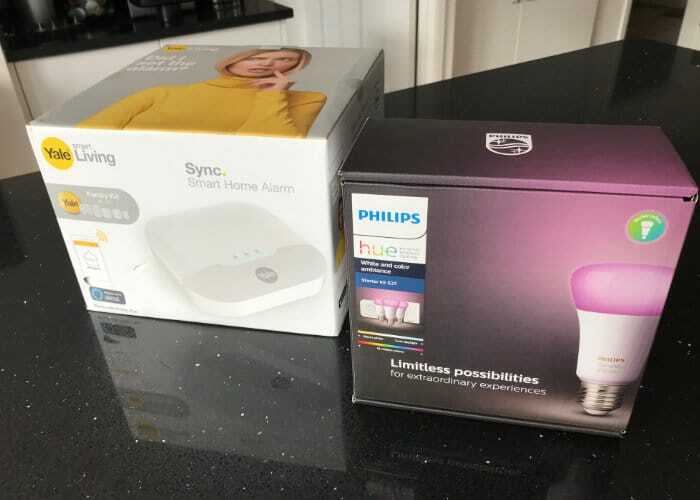 You can now synchronise your Philips Hue smart light bulbs and connect the Yale Sync Alarm system to Amazon’s Alexa voice-controlled personal assistant, enabling you to carry out a variety of different tasks using voice commands and the Amazon Alexa service. To combine Amazon Alexa to your home security system download and install the Alexa app, which you will have already done if you’ve been using Amazon Alexa for any length of time or already have Amazon Alexa devices installed in your home. Once this is complete, you will then need to enable the Alexa Yale Smart Living custom skill by following the instructions below. Also if during the process you’ve forgotten to individually named each alarm component or check that all your motion sensors are in the correct place you can ask Alexa to provide feedback from the Yale Smart Living app on how you have named each Sync item. The name of devices will vary depending on how you named them during the setup process in the Yale Home App. If you require additional help when using the Alexa application, you can also simply press the “Help” button for more information about the Yale Smart Living Skill which is always useful. 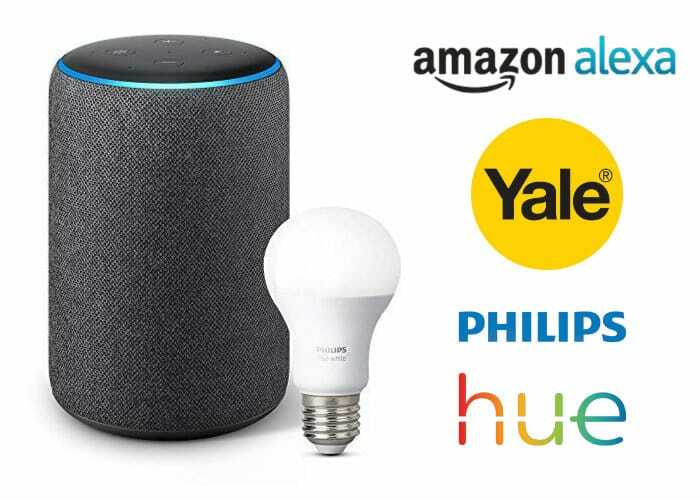 Yale also provides a comprehensive support site providing a detailed FAQ section offering answers to common questions when setting up the Yale Sync Smart Home Security system, connecting it to Amazon Alexa or integrating it with your Philips Hue smart light bulbs. It is also worth noting that the new Yale Sync Alarm is compatible with Amazon Alexa but if you have an SR alarm these are not yet compatible. 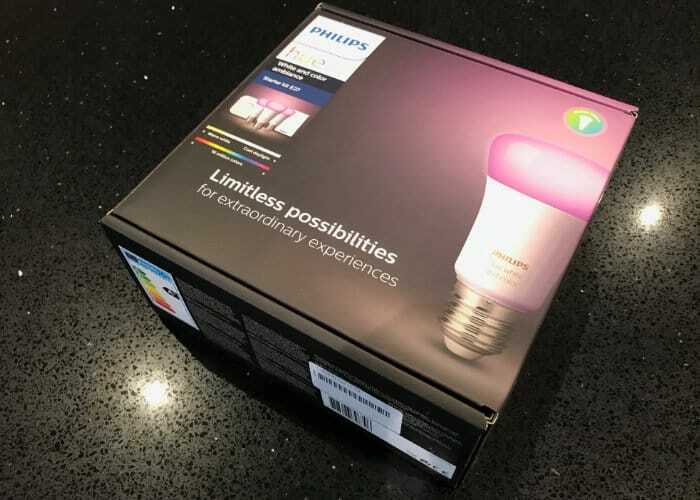 Once you have Amazon Alexa connected to your Yale Sync Alarm you can now connect your Philips Hue smart lighting system, to provide visual feedback when the alarm is triggered and armed. The visual feedback can be used both by yourself while at home when the alarm is armed and disarmed, but it’s also a great feature to alert passers-by who may notice the flashing lights and hear the siren, alerting authorities on your behalf when the alarm is triggered, as well as deter possible intruders. 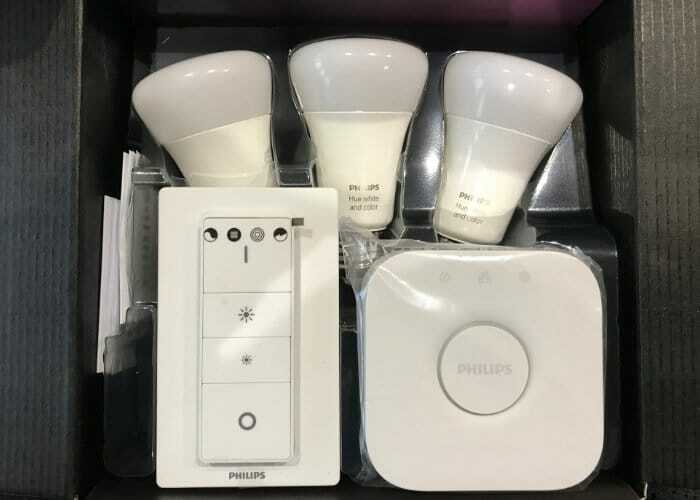 To connect your Philips Hue lights to your Yale Sync home security system enter the settings section of the Yale Home App selecting “Philips Hue settings” You’ll then be prompted to enter your Philips Hue account username and password. Later this month Yale will also be making available smartwatch applications for both the Apple Watch and smartwatches equipped with the ‘Android Wear’ operating system. Geofencing notifications are also available; currently, this is only accessible via Android and the Home App must be updated to version 2.0. Yale is currently working hard to bring the update to iOS users as soon as possible. The sooner details are announced regards Geofencing for iOS users we will keep you up to speed as always. For Android users who have installed Home App 2.0 go to the app menu, select “Settings” >”Users”>”Notification Settings”>”Geo-notification Settings”. To automatically activate your alarm as you leave your home or disarm it automatically when you arrive back home. 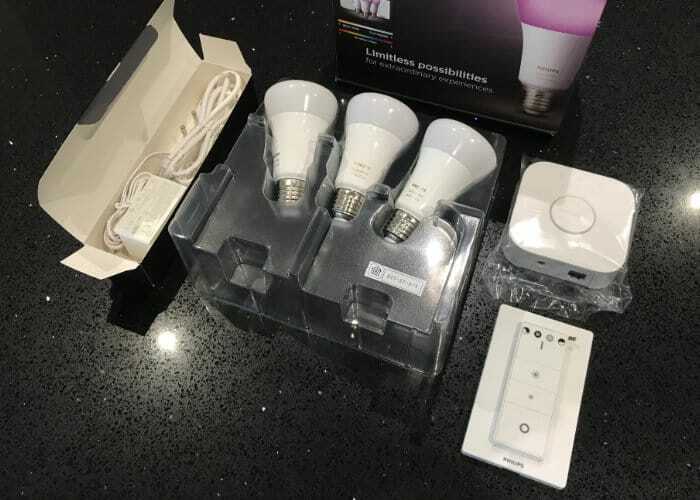 A couple of final features worth noting with the Yale Sync Home Alarm system are the way you can empower additional users to control the alarm by using the “Master” user. Simply go to the Yale Home app menu, select “Settings” > ”Users” > ”Account Management” then select “Add new account”. You can then set a new users email address and password and “Save” their details. 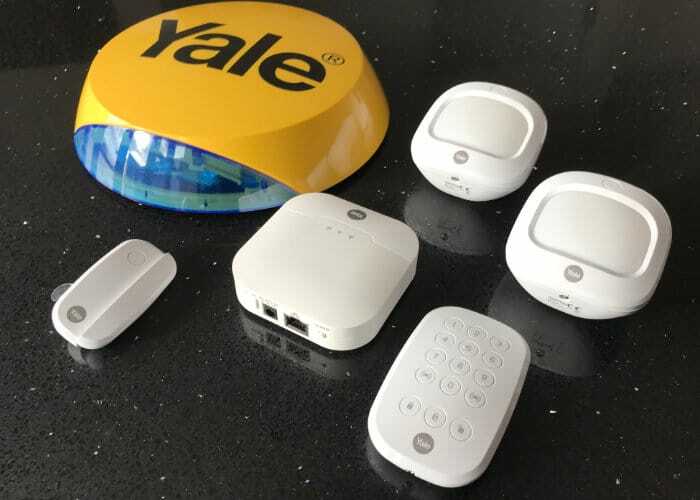 The new Yale Sync user will then need to download the Yale Home app and install it on their smartphone and enter their login details to be able to gain access to the security system. 1. Press the ‘Panic button A’ key followed by factory default Key Pad code ‘0000’ (this is different to your Control Panel PIN code). 2. Press the ‘Panic button A’ key followed by the ‘7’ key to set the Key Pad into Control Panel system mode (also known as slave mode). 3. The LED will now flash slowly indicating it is in test (programming) mode. 5. Quit test mode by pressing the disarm key twice. The Key Pad code and mode setting has been completed. The KeyPad will now use the same PIN code that is set for the Control Panel.